Founded by a group of theatre artists in 1993, A Red Orchid Theatre received extensive acclaim from local and national press. Since its opening, the theatre has grown in size, and has brought many highly skilled actors onto the intimate stage of its eighty-seat playhouse. 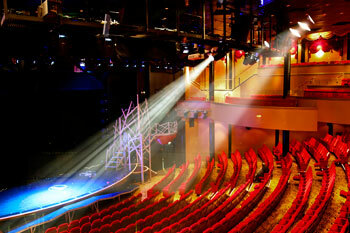 Considered an artistic staple by the community, A Red Orchid Theatre is nearby fine restaurants and upscale boutiques. Convenient parking for A Red Orchid Theatre is available at the following parking locations. Click on the location name for more information.